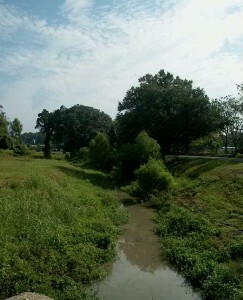 New River Bayou is in Ascension Parish in Louisiana and ultimately drains to Lake Pontchartrain. As part of the Lake Pontchartrain Basin Restoration Program, Montgomery Watson Harza (MWH) was tasked with identifying and prioritizing the domestic wastewater sources that were the greatest detriment to water quality in the basin. As a subconsultant, McFadden Engineering assisted MWH with developing water quality criteria for evaluating the restoration of New River Bayou as a part of the overall impact on Lake Pontchartrain. Tasks performed by McFadden Engineering included the development of a water quality monitoring plan, field surveys and recommendations for continued evaluation of the Lake Pontchartrain Water Quality Initiative. The ultimate goal of the project was to reduce domestic wastewater discharges and improve water quality in the Lake Pontchartrain. Seven sampling sites were selected and sampling was conducted over a six-month period. Although no definitive source area was identified, it was determined that New River Bayou was generally impaired along the entire length that was studied. Through this study, McFadden Engineering assisted MWH with collecting data and information that led to the development of a watershed management plan that would determine the optimum placement of a wastewater treatment system for the area.